We’re in the growing-young-leaders-business. If you are a young person who's interested in getting involved, or know of one, please read on! For ten years, the Farm Internship Program has provided young people with paid internships to learn how to grow food while growing as leaders. High school youth help grow thousands of pounds of fresh foods on the Urban Roots Farm while leading volunteers in service and collaborating with peers from different schools and backgrounds. Youth receive a paid stipend for their work and learn vital life and job skills. Applications for the summer 2019 program have now closed. The Farm Internship Program is open to all teens who will be in high school in the fall of 2019. This is a rigorous, 6-week paid internship that occurs in the summer in June and July. Youth interns work full days, Wednesday through Saturday, from June 1 through July 13, 2019. Applications for Summer 2019 are now closed. 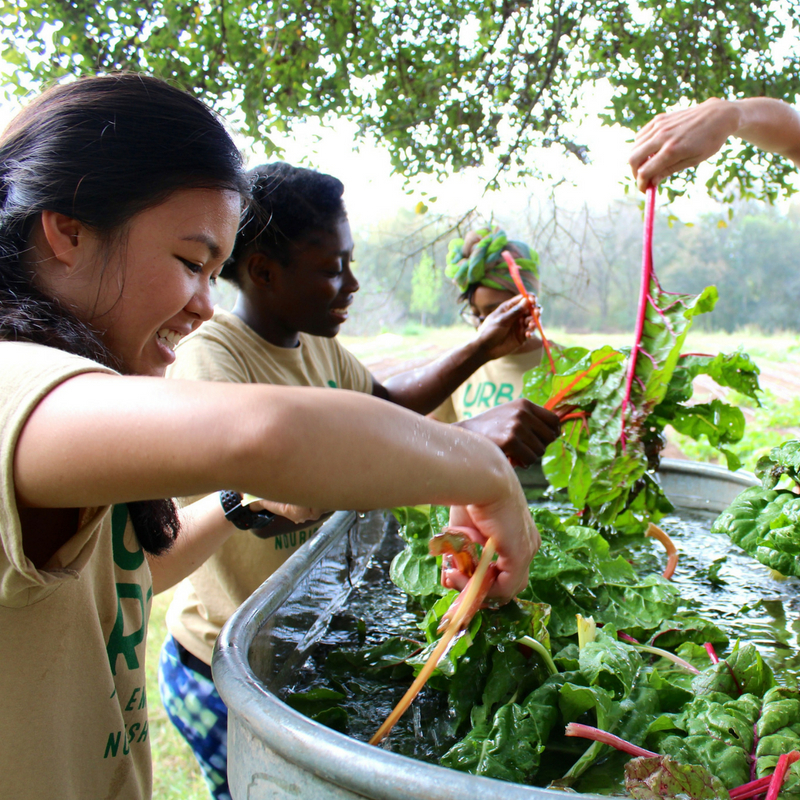 You’ll work hard on a sustainable urban farm in East Austin, learn how to grow fresh vegetables, give back at frequent community service events, and develop critical leadership and life skills. The Food & Leadership Fellowship is a paid leadership development program for young adults in the Austin area that are between 17-23 years old. 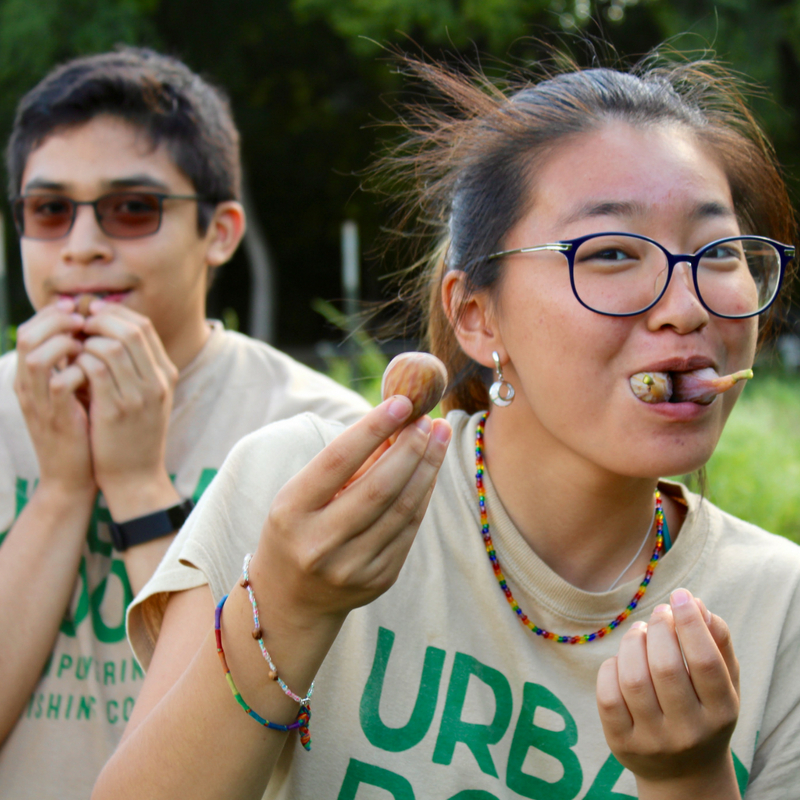 Working with us on the Urban Roots Farm, fellows learn how to grow thousands of pounds of sustainable produce while growing core professional development skills and completing an in-depth service project with a hunger relief partner in Austin. The Food & Leadership Fellowship is open to young adults living in the Austin area that are between 17 to 23 years old and no longer attending high school. Applicants do not need prior experience with farming, nor do they need to be enrolled in college. The FLF is a 10-week program that occurs twice each year; applicants may apply to participate in the fall or spring. Applications are currently closed. 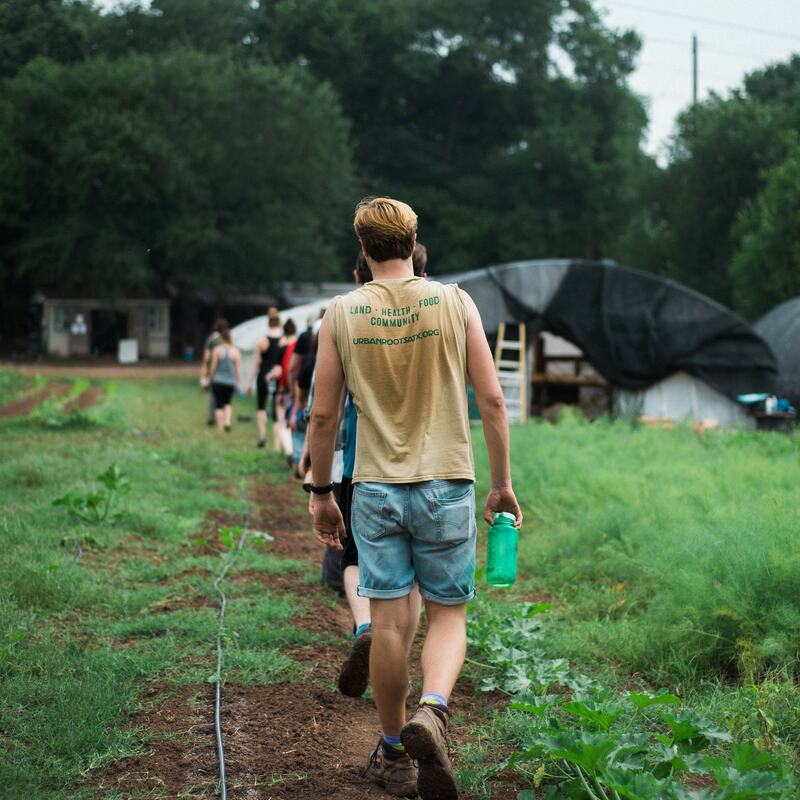 You’ll work hard on a sustainable farm in East Austin, learn how to grow fresh vegetables, practice service and giving back to your community, and develop critical leadership and life skills. Fellows are paid a bi-weekly stipend that is equivalent to $10 per hour with an end of season bonus. Fellows work four hour shifts, two days a week. Transportation between select pickup sites and the farm may be available, with tentative sites including ACC Riverside and Huston Tillotson University. The Academic Year Program is a new 9-month, paid internship open to graduates of the Farm Internship Program. 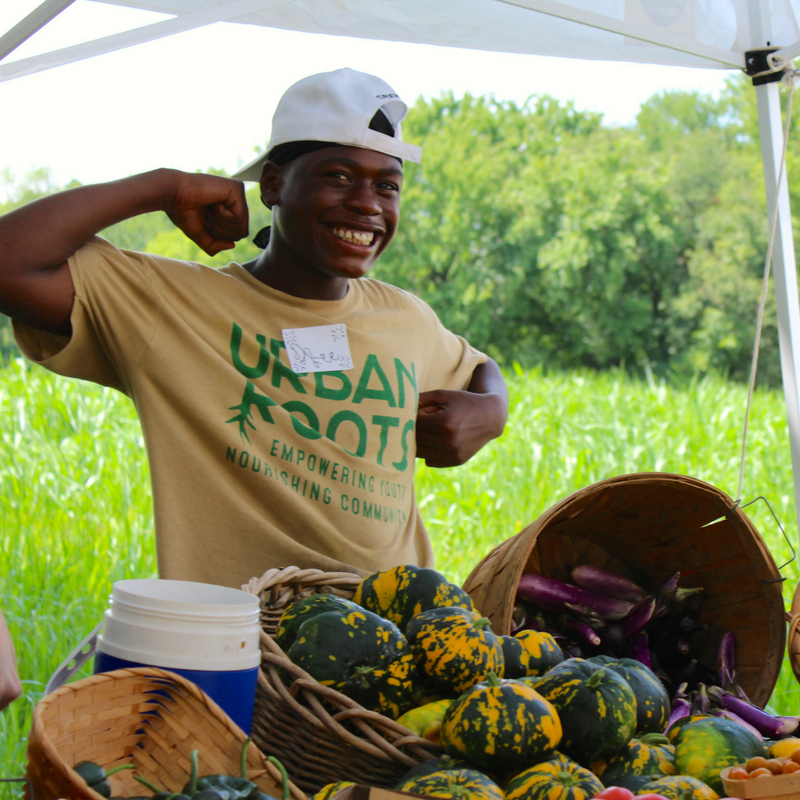 Participating in an extended internship with Urban Roots, youth will take part in in 3 exciting rotations that include opportunities to work on the farm, develop advanced culinary skills, and learn about social responsibility and leadership first-hand. With heightened opportunities for growth and development, the AYP assures that young people get rooted, and stay rooted. The Academic Year Program is open to teens who have completed the Farm Internship Program and are between 14 - 17 years old at the start of the season. This program runs parallel to the school year. In this inaugural season, it's a two-day per week commitment from October through May. Applications for the current season are now closed, and applications for the 2019-2020 season will open in May 2019. This is a next-level leadership opportunity for teenagers that builds upon the Farm Internship Program. Activities include special skill-building and issue-based workshops, a series of hands-on culinary lessons, and ample opportunity to take lead on in-depth service projects across Austin. We offer tours of the farm for schools and as an educational experience for adults. Join us for a day on the farm! Tours are the perfect opportunity to see a community farm in action and learn about how food is grown! Available to student groups and community members, tours include a sneak peak of our bee hives, sustainability methods, a hands-on farming activity (for 6th grade and up), and tasting of seasonal fruits and veggies. Tours for grades K-5th are TEKS aligned. Title I Schools can receive a tour at no cost. If you are interested in scheduling a tour, please read the information sheet and complete the inquiry form linked within. While our internships serve teens and young adults, even our youngest friends can experience a 1-hour, TEKS-aligned farm tour that includes community-building activities, a guided walking tour, and a tasting of fresh fruits and veggies. Secondary school students may participate in an extended tour that includes a 40-minute tour of our 3.5-acre urban farm, a 30-minute hands-on farming activity, and a tasting of fresh fruits and veggies. Farm tours are fun for all ages! We’d love to host your group for a 1-hour guided tour of the Urban Roots farm. We ask for a donation of $250 per tour. Please help us get started by filling out our tour inquiry form below!